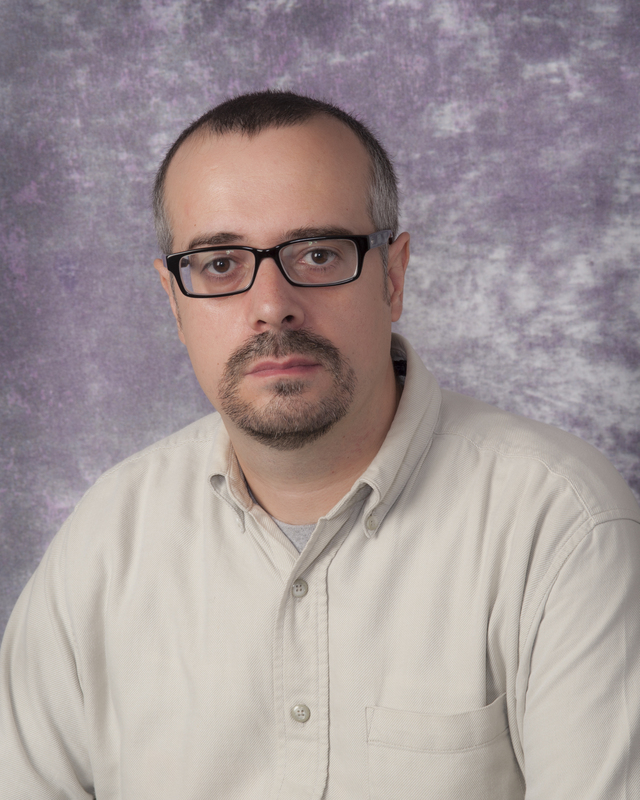 Dr. Tejero’s research is focused on the biology of heme proteins. His main research goals include: i) to understand and characterize the chemical and kinetic features of the reactions of nitrite with hemoglobin, myoglobin, cytoglobin and neuroglobin, ii) to elucidate the cytoprotective mechanisms of the six-coordinate globins neuroglobin and cytoglobin, and iii) the development of heme-based antidotes for carbon monoxide poisoning. Amdahl, MB, Sparacino-Watkins, CE, Corti, P, Gladwin, MT, Tejero, J. Efficient Reduction of Vertebrate Cytoglobins by the Cytochrome b5/Cytochrome b5 Reductase/NADH System. Biochemistry. 2017; 56(30): 3993-4004. Azarov, I, Wang, L, Rose, JJ, Xu, Q, Huang, XN, Belanger, A, Wang, Y, Guo, L, Liu, C, Ucer, KB, McTiernan, CF, O'Donnell, CP, Shiva, S, Tejero, J, Kim-Shapiro, DB, Gladwin, MT. Five-coordinate H64Q neuroglobin as a ligand-trap antidote for carbon monoxide poisoning. Science Translational Medicine. 2016; 8(368): 368ra173. Corti, P, Xue, J, Tejero, J, Wajih, N, Sun, M, Stolz, DB, Tsang, M, Kim-Shapiro, DB, Gladwin, MT. Globin X is a six-coordinate globin that reduces nitrite to nitric oxide in fish red blood cells. Proc Natl Acad Sci USA. 2016; In Press. Tejero, J, Kapralov, AA, Baumgartner, MP, Sparacino-Watkins, C, Anthonymuthu, TS, Vlasova, II, Camacho, CJ, Gladwin, MT, Bayir, H, Kagan, VE. Peroxidase Activation of Cytoglobin by Anionic phospholipids: Mechanisms and Consequences. BBA-Mol Cell Biol L. 2016; 1861: 391-401. Corti, P, Ieraci, M, Tejero, J. Characterization of zebrafish neuroglobin and cytoglobins 1 and 2: Zebrafish cytoglobins provide insights into the transition from six-coordinate to five-coordinate globins. Nitric Oxide. 2016; 53: 22-34. Tejero, J, Sparacino-Watkins, CE, Ragireddy, V, Frizzell, S, Gladwin, MT. Exploring the mechanisms of the reductase activity of neuroglobin by site-directed mutagenesis of the heme distal pocket. Biochemistry. 2015; 54: 722-733. Sparacino-Watkins, CE, Tejero, J, Gauthier, MC, Ragireddy, V, Thomas, J, Azarov, I, Wang, J, Merchant, B, Basu, P, Gladwin, MT. Nitrite reductase and NO synthase activity of the mitochondrial molybdopterin enzymes mARC (MOSC) 1 and 2. J Biol Chem. 2014; 289: 10345-10358. Tejero, J, Basu, S, Helms, C, Hogg, N, King, SB, Kim-Shapiro, DB, Gladwin, MT. Low NO concentration-dependence of the reductive nitrosylation reaction of haemoglobin. J Biol Chem. 2012; 287: 18262-18274. Tiso, M, Tejero, J, Basu, S, Azarov, I, Wang, X, Simplaceanu, V, Frizzell, S, Jayaraman, T, Geary, L, Shapiro, C, Ho, C, Shiva, S, Kim-Shapiro, DB, Gladwin, MT. Human neuroglobin functions as a redox regulated nitrite reductase. J Biol Chem. 2011; 286: 18277-18289. Tejero, J, Biswas, A, Wang, ZQ, Page, RC, Haque, MM, Hemann, C, Zwejer, JL, Misra, S, Stuehr, DJ. Stabilization and characterization of a heme-oxy reaction intermediate in inducible nitric-oxide synthase. J Biol Chem. 2008; 283: 33498-33507. Funding Agency: Globin Solutions, Inc.